Could this be the longest sulk in history? 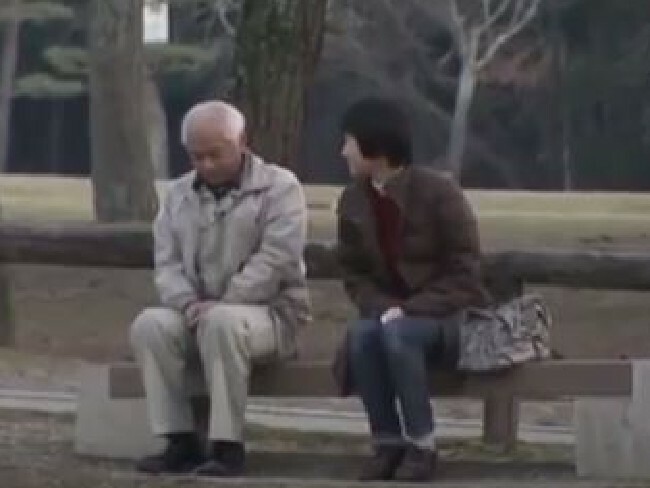 A Japanese man has gone an incredible 20 years without speaking to his wife, despite living in the same house. Otou Yumi shared the home with his wife, Katayama, and their three children in Nara, southern Japan. His wife would try and speak to him but he would only respond with grunts or body movements – like the nod of his head. Otou finally spoke to his wife on a Japanese TV show after their children had contacted the show asking for their help. And his reason for his 20 year vow of silence? He was jealous of the attention his wife gave to his children. “I was kind of … jealous. I was sulking about it. There’s no going back now I guess.” he said. I do not think this story is real. I do not think the story is the real man! 20 years and she survived this? in the west, his wife would have asked divorced after a month and the same for the opposite. Human being does strange things at times. very weird, is it true?